EDMONTON—While most still see it as the Greatest Outdoor Show on Earth, the Calgary Stampede wrapped up its annual 10-day run on Sunday tainted by controversy. A midway ride malfunction last week injured 10 people and sent 6 teenagers to the hospital; a young rider suffered a broken shoulder and serious head injury after her horse collapsed due to a heart attack; and six horses died in different events, including four in chuckwagon racing. The sixth horse died last Thursday amidst outcry over the deaths of the other five. The horse sustained an injury to its right leg during a chuckwagon racing event and was later euthanized. “The fact of the matter is, to lose those horses is very unusual, and very saddening,” says Doug Fraser, a spokesperson for the Calgary Stampede. Two horses died of heart attacks during the events, three were euthanized after various injuries, and another died for reasons a necropsy has yet to determine. Fraser says it is not a normal occurrence to have that many animal deaths at the Stampede, and stresses that the deaths are not due to accidents on the track. “We had three horses die of natural causes, and three die from situations that happen on a racetrack, or in a rodeo ring. I mean, horses break their legs on the racetrack frequently, and it’s not just the Calgary Stampede,” he says. Reviewing the safety practices and improving animal care and welfare are a constant year-round effort, Fraser says, and with the advice and contribution of a panel of experts on animal safety, the Calgary Stampede endeavours to make its events safer each year. Over the years, organizers have implemented changes to the events to reduce injuries, according to the Calgary Stampede website. These have included changing the chuckwagon race tracks to reduce injuries, improving the handling practices of steers in the chutes, and assessing penalties for rough handling during the rodeo events. “The reality is that rodeo events are based on animals’ reaction to fear, pain, and stress, so that in itself makes it an unconscionable act of cruelty,” she says. Probert says there have always been animals dying at the Stampede, although it is getting more publicity this year. The VHS is particularly alarmed by horse deaths in chuckwagon racing, and claims that over 50 horses have died in the event since 1986. “This is an event that exposes animals to an unacceptable risk of injury or death, and we think that it should be ended,” she says. The worst case of animal death in the history of the Stampede occurred in 1986 with 12 animals euthanized by the end of that year’s run. In 2005, nine horses died after falling from a bridge into the Bow River during the trail ride from the Stampede Ranch to the exhibition site just a few days before the beginning of the Stampede. The animal death toll last year was four, with three horses dying in chuckwagon racing. Protests over animal treatment this year had an international reach, with a British group called League Against Cruel Sports calling on the Canadian High Commission to “take steps to end the immense cruelty to animals.” More than 50 British MPs also signed a motion to improve how animals are treated at the Stampede. The Vancouver Humane Society and other animal right groups celebrated a victory when the Cloverdale Rodeo in Surrey, British Columbia, dropped four major events from its program in 2007. 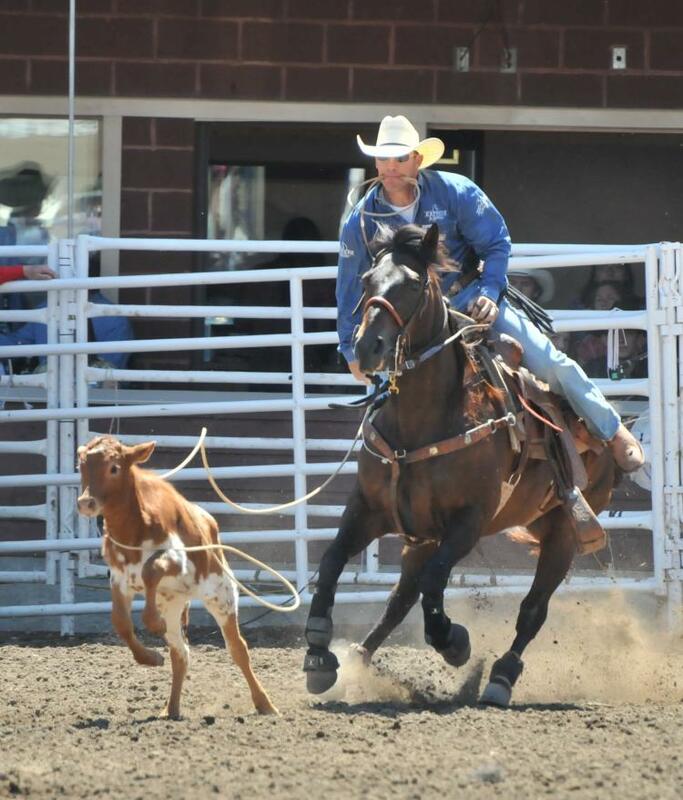 The events included team roping, wild cow milking, steer wrestling, and calf roping. 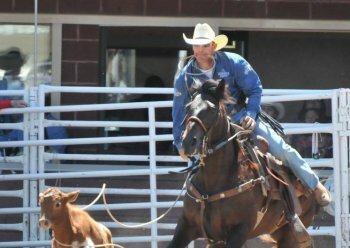 VHS also succeeded in placing an ad criticizing calf-roping in the Calgary Herald this year during the Stampede, after being rejected by the Herald and the Calgary Sun in a similar attempt during last year’s event. Probert says she is optimistic that the chuckwagon racing and the other events deemed cruel by the VHS will eventually stop. Fraser, however, maintains the Stampede rodeo events continue to have strong support in North America. “The fact of the matter is that every year over 300,000 people come to the Calgary Stampede to watch the rodeo and chuckwagon, plus millions of people watch it on TV,” he says. Brooklyn Borough President Marty Markowitz opened of the district's new Downtown Brooklyn Information Center.